Robert received his J.D. legal degree from the University of Ottawa, Faculty of Law in 2015. 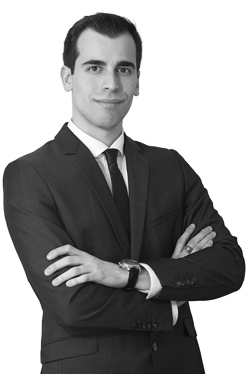 Prior to law school, Robert graduated from the University of Toronto in 2012 with an Honours Bachelor of Arts degree in environmental management. Robert’s practice focuses on accident benefits as well as tort motor vehicle claims. He regularly appears before the Financial Services Commission of Ontario, License Appeal Tribunal (LAT) and the Ontario Superior Court of Justice for motions, appeals, mediations and case conferences. Robert has particular experience litigating catastrophic impairment claims. Robert is fluent in Polish. He combines his passion, legal knowledge and healthcare experience to go above and beyond industry practices in advocating for clients’ rights. While in law school, his passion for access to justice inspired him to help clients as a caseworker on leading public interest environmental cases at the Ecojustice Environmental Law clinic. His position at Ecojustice focused on researching and understanding highly technical regulations and case law. Robert also has a strong interest in Alternative Dispute Resolution. In law school, he also summered at a law firm in Geneva, Switzerland in international arbitration. Robert strives to maintain an active lifestyle. On his free time he enjoys skiing, scuba diving, and hiking. Prior to being called to the bar in 2016, Robert articled at Clarke Law.